The Academy of Motion Picture Arts & Sciences has announced their short-list for the 2016 Live-Action Short Film Oscar with Irish writer/director Benjamin Cleary’s short film ‘Stutterer’ among the 10 short-listed films. 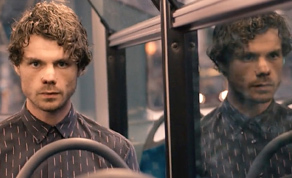 Produced by UK-based Bare Golly Films, ‘Stutterer’ has so far won nine awards on the festival circuit including Best Foreign Film at LA Shorts Fest 2015, the Audience Award and Best International Short Film at Kerry Film Festival 2015, Special Jury Award at the Savannah Film Festival and Audience Awards at the OFFline Film Festival as well as the DC Shorts Film Festival. The film stars Matthew Needham, Chloe Perrie and Eric Richard and is produced by Serena Armitage and Shan Christopher. Cleary also wrote the short film ‘Love is a Sting’ which was a winner at the recent Cork Film Festival which puts it on the long-list for the 2017 Oscars. The short also picked up awards at the Clones Film Festival and the Richard Harris International Film Festival. Last year, Northern Irish short films ‘SLR’ and ‘Boogaloo and Graham’ were short-listed for the Oscar with ‘Boogaloo and Graham’ making the final five. Check out our interview with Michael Lennox after the announcement of the Oscar nomination here. The 10 short-listed films will be whittled down to five for the Oscar ceremony on February 28, 2016. That decision will be announced on January 14.